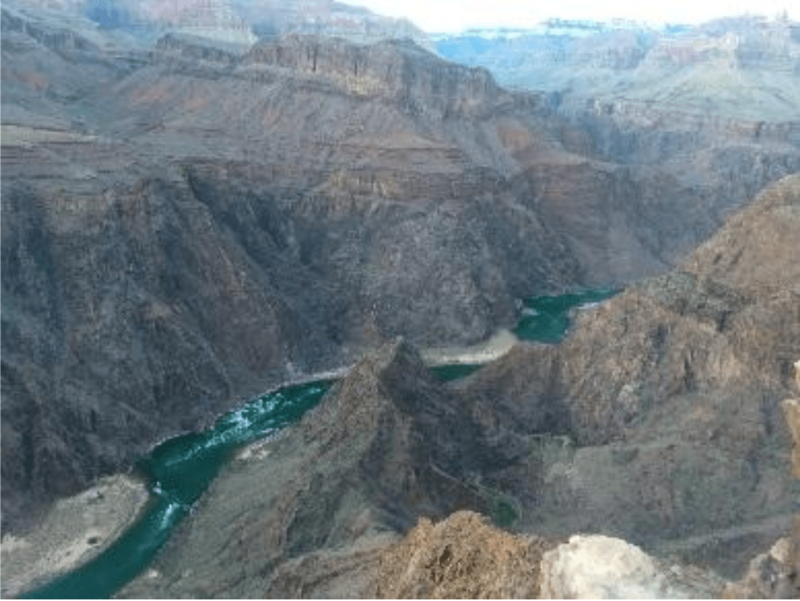 The Grand Canyon is known for its spectacular views and strenuous hikes through earth’s geologic time capsule. The trails are made up of switchbacks and sharp elevation changes --- often powdered with mule feces. The mules carry supplies, people, and mail in and out of the canyon. 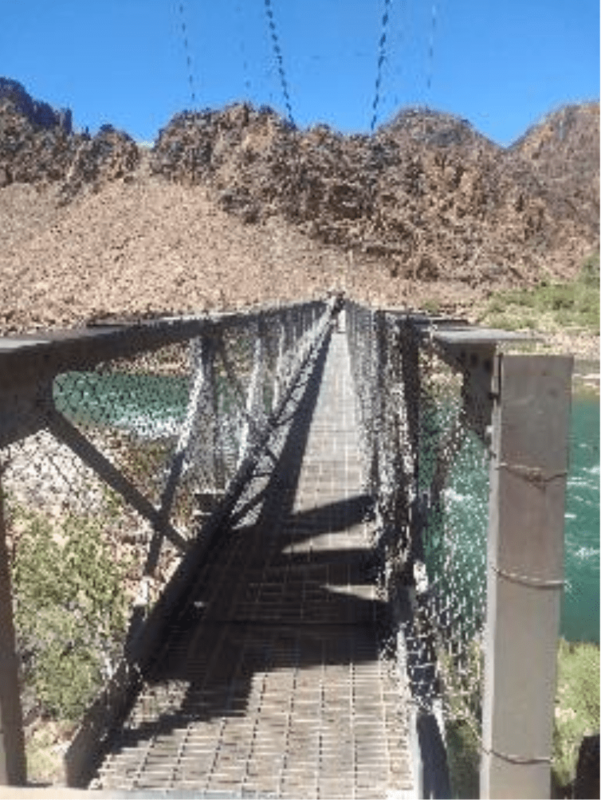 The policy for hikers is to carry all trash out or pay a mule to do so for you. One thing the mules do not carry out is poop. 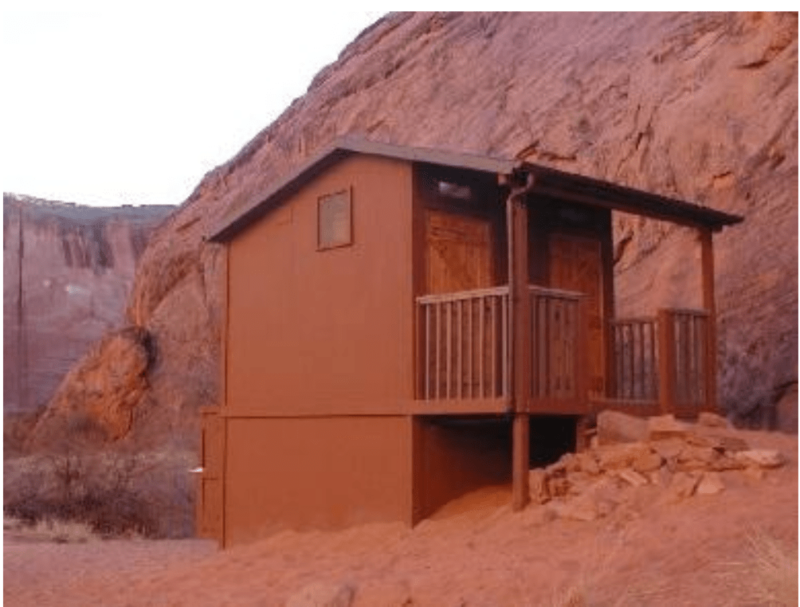 That’s right, human poop is one type of waste that can be left in the canyon, thanks to a very functional and surprisingly clean network of composting latrines scattered along the trails from rim to rim. 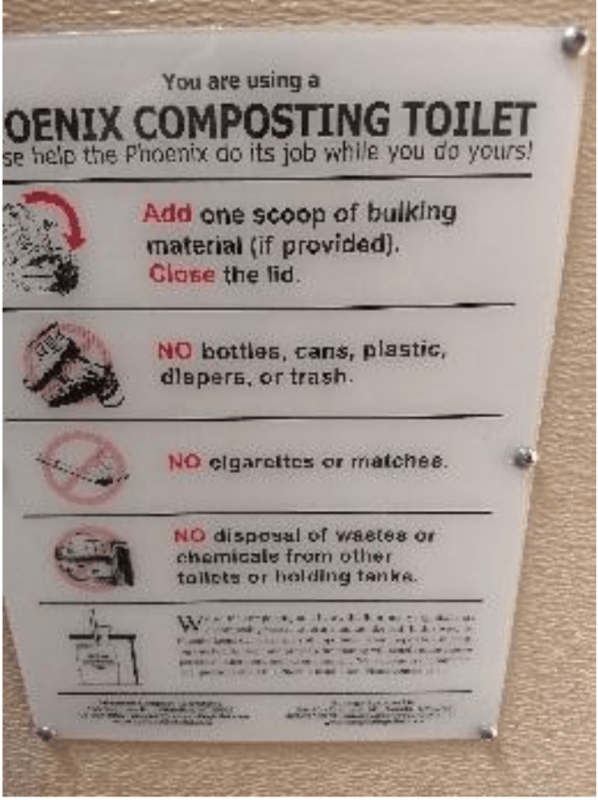 These composting latrines accept veggies and fruit along with poop and toilet paper, but just like garden compost, they will not accept regular trash. Proper disposal of human waste is important because it minimizes the risk of transferring diseases, reduces water pollution and keeps the park looking clean. Specialists from the National Park Service regularly check up on these latrines to ensure they’re in working order. 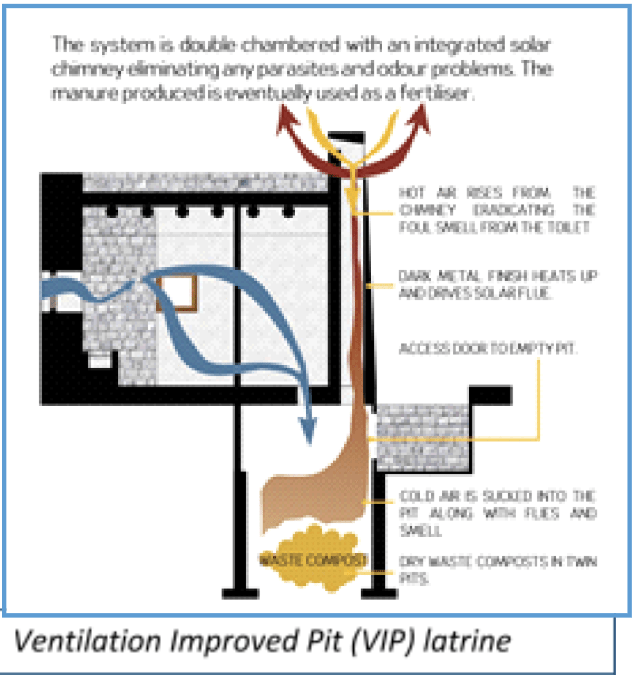 The composting latrines use an air ventilation system to aid in the natural process of evaporation and decomposition of human waste. This keeps the latrines relatively odor free and creates a finished product of human fertilizer which is safe to spread out across soil. Just soak in the beauty of the communal use of our poop. Our waste becomes our fertilizer which ultimately fuels the plants we need to sustain life and food. When kept in good condition, composting toilets are excellent in harsh climates and remote locations. Actually, on second thought, composting toilets are great anywhere, as long as they’re maintained. The trick to success with composting toilets is that they cannot be too overloaded with waste since it takes time to break down. Again, just like regular garden compost, if the pile of kitchen scraps and yard waste keeps getting bigger without being turned or allowed to decompose it can become a nuisance. This isn’t to say these toilets shouldn’t be constructed more often! Proper maintenance of these latrines can provide safe and simple restrooms for people and can also provide a safe fertilizer as well. In fact, modern day wastewater treatment plants regularly sell their post-treatment waste (“sludge”) as fertilizer to farms! These latrines provide all the same services as a modern toilet at a smaller capacity, but all without water! This is truly a great relief on our water supply. So, the next time you hike past a composting toilet just take a deep breath of relief and appreciate that someone out there gave a crap about you and the environment! Great insight! Composting toilets seem to really do a great job of conserving water and energy resources!